Light refreshments will be provided. 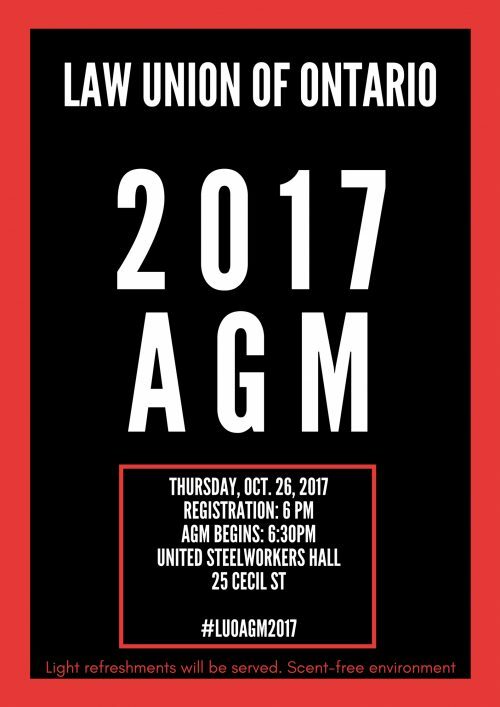 Following the AGM we will proceed to the Free Times Cafe at 230 College Street for the after-party. We request that participants refrain from wearing scents.